Mores Creek Summit Backcountry Skiing: Feliz Año Nuevo 2014! - Happy New Year 2014! Feliz Año Nuevo 2014! - Happy New Year 2014! It would have been fitting to welcome another year with a report of deep champagne powder. Conditions in the backcountry are marginal for ski touring where we will find a shallow snowpack across most of South Western Idaho and Eastern Oregon. Meanwhile, resort skiing at Bogus Basin and Brundage is very much fun, with carving conditions in the groomers. This post is meant to provide basic understanding about the processes responsible for the transformation of our regional snowpack into a snowpack with structural weaknesses. Structural weaknesses result when the snowpack develops facets layers where a cohesive layer or slab sits in top of the facet layer. The slab can form at later time, such at the situation we will face soon. Once we start getting new snow it is inevitable that storm snow layers and wind slabs will form above weak facet layers. In this post we provide useful links for trip planning as well as introducing SnowGeek to the the backcountry community of winter travelers, skiers, riders and snowmobilers. In addition, we introduce guidance on distances for temperature recording at layers of concerns. Avalanche books, avi courses, ski magazines, movies and videos have dedicated countless words to explain the formation of snow weak layers when there are temperature differences within the snowpack. Temperature differences in the snowpack are the result for example, of the contrast between the warm ground and colder snow, or the snow surface and air temperature. 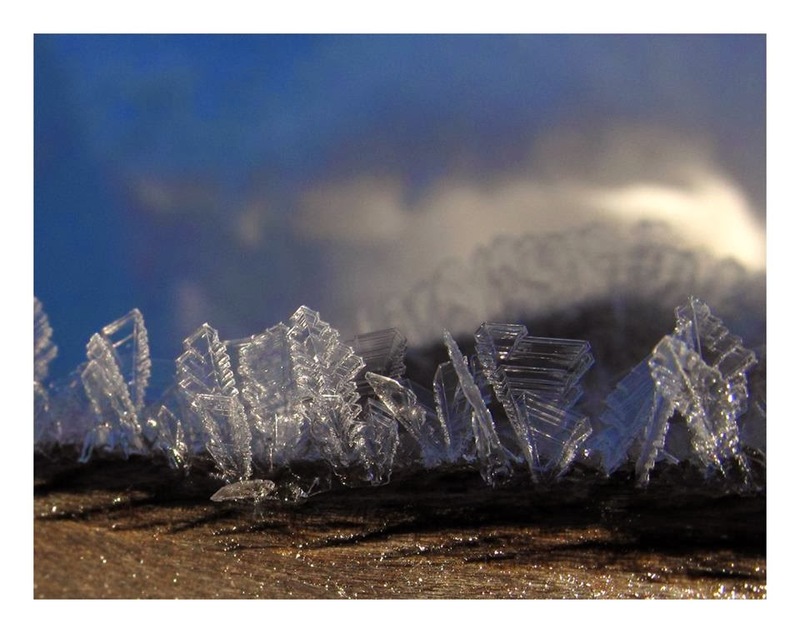 Naturally, the smaller the distance between the contrasting temperatures the more energetic is the process that changes precipitation or old snow crystals into NEW crystals we call facets, due to their well defined gemlike 'faces'. The engine of this process we call snow metamorphosis is nature trying to reach energy equilibrium by transferring heat energy from a warm region to a colder region. Energy transfer within the snowpack is carried out by water molecules changing from solid state to gas state. Next the gaseous water molecules move into a cold area where they change from gaseous state to solid state. In summary; precipitation or old snow crystals sublimate and later deposit into a new location. The next set of images show a simulation developed by Pedro Rodriguez (my son) of the the heat-mass transfer process responsible for snow faceting. Notice how it cycles from a connected skeletal structure to a disconnected crystal structure. 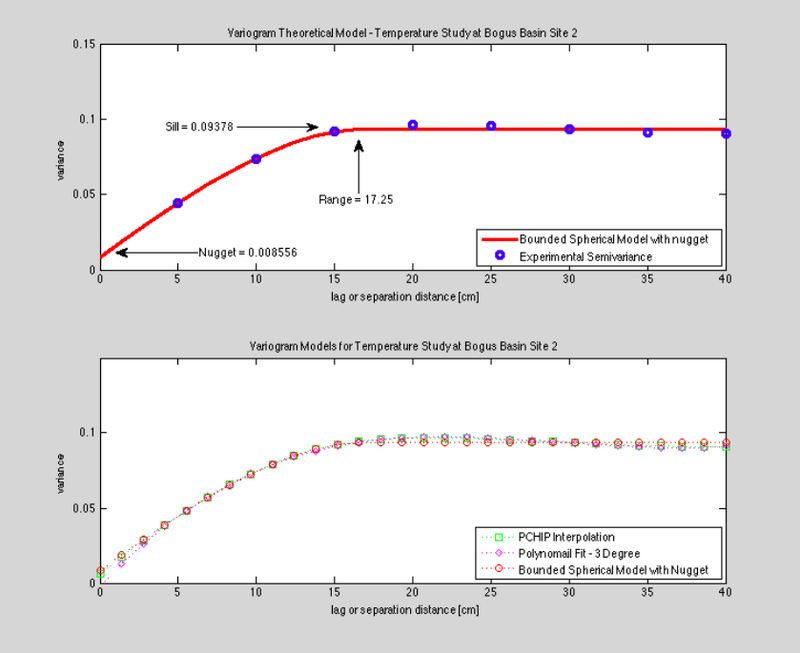 Matlab Simulation of Snow Sublimation/Deposit process based in Fickian Flow. The next picture shows ice crystals in the ground formed by sublimation (solid to gas state) and subsequent deposition (gas to solid state). Notice that the condensation term is not use in this write-up, since it applies to water gas to liquid state change. This background is important to provide context to the current snowpack conditions in our area. The next chart provides the historical snow depth and temperatures for Mores Creek Summit at 6100 feet of elevation. Notice the many temperature incursions from close to zero degrees Celsius to below minus 15 degree Celsius. At the same time the snowpack is thin, with a depth ranging from 20 to 30 inches (45-70 cms). The combination of widely contrasting temps and thin snowpack as explained earlier, favors conditions favorable for facet formation. Mores Creek Summit Snotel for december 2013. One very cool observation ... the chart above illustrates the settling of snow as the depth decreases slightly below the 30 inches level during the last week of December. As demonstrated above, the review of snotel data is valuable prior to a ski tour trip to determine amounts of precipitated snow and conditions resulting in structural weaknesses or formation of facets. To make the trip planning process easier for the backcountry skiing community, the SnowGeek team developed a web based planning tool. SnowGeek trip planning tool generates a snotel report for the closer snotel station to the a searched location, the zonal weather forecast, as well as the topographical map for the area of interest. We encourage the use of the Cal Topo map in the maps options, since it generates color shades as a function of slope steepness. Remember that it is still crucial to measure slope angles in the field. Snow accumulation and local terrain features are not represented even by the best of topographical maps. Another valuable tool made available in SnowGeek is the snow pit profile generator. These functionality is currently offered by several PC and mobile devices applications. The SnowGeek hardness profiler is based on MATLAB code to process snowpack data from South America's 2013 research campaign, and its development was meant to make it easy to use with expedient layer configuration entry. Please feel free to peruse the SnowGeek website. On this posting we are introducing SnowGeek's website. Do not forget to visit it often since its tools and functionality will continue to grow. We appreciate any feedback about SnowGeek website. 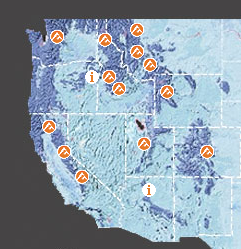 A contact link can be found at the bottom right of every SnowGeek webpage. We would like to wrap-up this posting by suggesting minimal distances when recording pit profile temperatures. A geostatistical tool named variogram was used to determine the characteristic distance where temperature variability become independent of distance between measurement points. Data from Idaho's 2013 Winter was used for this study. The data charted below has a characteristic distance, called variogram range, of 17 cms. Other data sets produced similar results in the range of 15 cms. When characterizing a snowpack, if distances of 15 cms are used to measure temperature, we are less likely to record temperature variations, that as we discussed earlier are responsible for facet formation. It is a good rule to record temperatures at distances below half of the variogram range, or should we say every 5 cms. Generally a distance of 10 cms is used when recording temperatures in snow pits. This data suggest a smaller distance. If there is interest in determining if faceting is active at the surface (formation of near-surface facets), bottom of the snowpack(basal facet formation) or on a buried layer of facets, it is a good idea to measure temps "at least " every 5 cm in the region of interest. 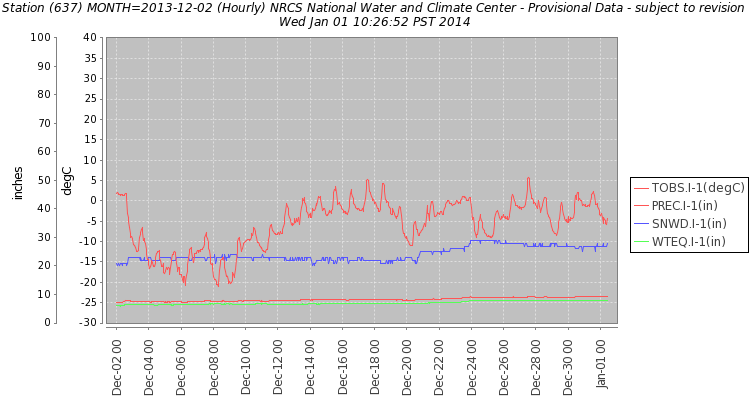 By the way, it is not necessary to record temps for the whole snowpack, or even the top meter. Advanced winter recreationists should direct efforts to record temperatures at layers of concern. It is a lot of work, and perhaps unnecessary to make 20 temperature recordings at 5 cms spacing on a 1 meter deep snow pit. 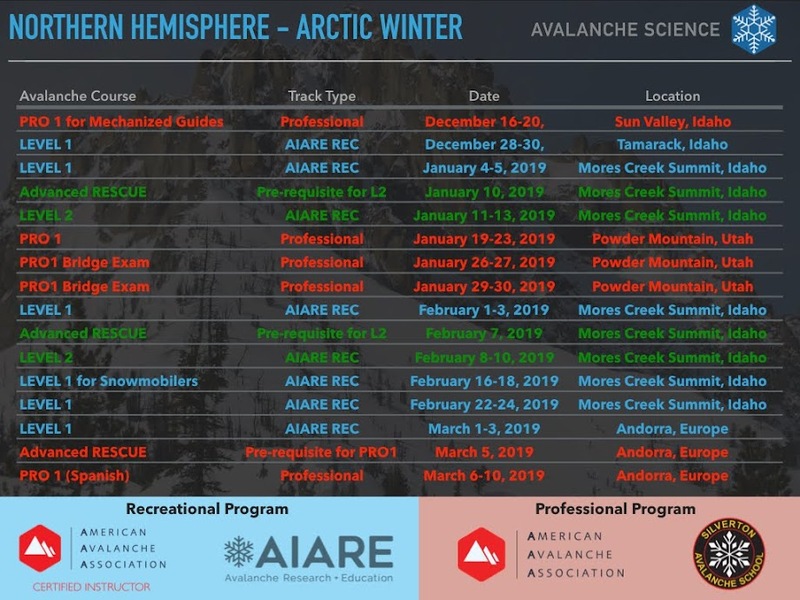 Mores Creek Summit blog authors are excited to be able to share snow research work applicable to backcountry skiers seeking understanding of snowpack processes. Most of the work is part of Boise State University Cryosphere Research team at the Geosciences department.